Our new 2018 13-inch MacBook Pro with Touch Bar is already in for testing after orders for Apple&apos;s latest professional laptop went live on Thursday. Read on for our first look at each new feature, benchmarks for the new quad-core CPU and a comparison with a top-spec 2017 15-inch MacBook Pro. 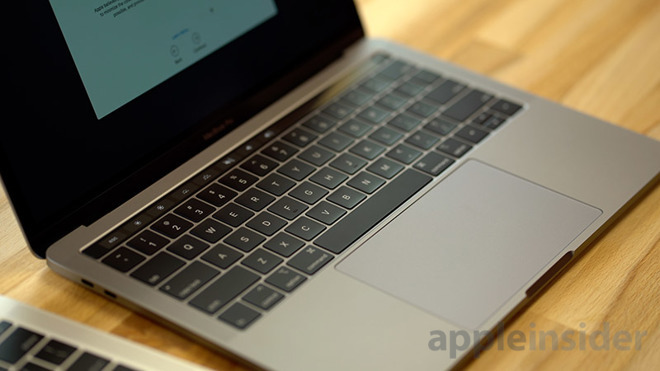 Since Apple didn&apos;t make any design changes to its top-level MacBook line, the exterior is completely unchanged. Inside, however, is an updated third-generation keyboard with "butterfly" mechanism keys that, while aesthetically identical to past iterations, are supposed to be more quiet. The telltale clickety-clack of the 2018 MacBook Pro&apos;s keyboard is more muffled when compared to last year&apos;s 13-inch base model, which uses second-generation butterfly keys. Typing feel remains largely the same, with a good amount of key travel and a nice bounce back upon finger liftoff. Whether the key design changes include reliability upgrades is unknown, and Apple isn&apos;t saying much about it. The company said the main complaint from customers was keyboard noise, not operating failures that spurred multiple class-action lawsuits. For its part, Apple maintains only a small percentage of users were impacted by the key issue. In any case, we will have to wait and see whether the new keyboard is more reliable than past versions. Moving on, our 2018 MacBook Pro comes with a Touch Bar and Touch ID, the latter of which is convenient for logging in and buying online items using Apple Pay. It also comes with Apple&apos;s T2 chip, which basically consolidates a few system controllers into one and for the first time brings "Hey Siri" to the new MacBook. 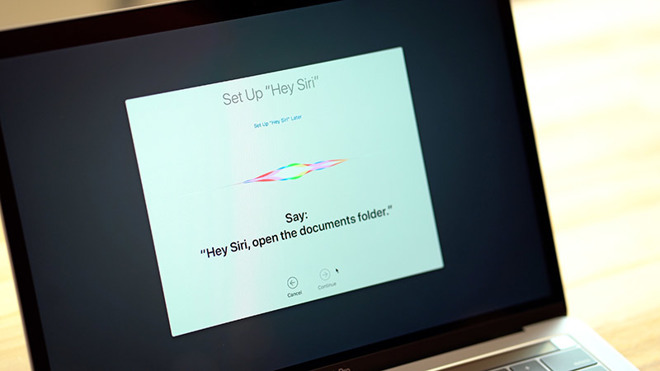 After a quick setup procedure that prompts a user to read a sentence, we tested out Hey Siri by asking her a few questions. Performance was similar to iOS, with excellent voice recognition and speedy results. Hey Siri will become even more powerful once macOS Mojave sees release, as the upcoming operating system integrates control over HomeKit devices via the Home app. Another brand new feature is True Tone, which measures ambient light to adjust onscreen colors. The 2018 MacBook Pro is the first Mac to get the feature and it works as advertised. When enabled, the white balance adjusts to make onscreen images look more natural against the laptop&apos;s surrounding environment. Typically, users will notice warmer display colors, though results may vary depending on your particular lighting arrangement. This year&apos;s 13-inch MacBook Pro is the first to be powered by a quad-core CPU. Our test rig is a base model running Intel&apos;s 8th-generation Core i5 processor at 2.3GHz with boost speeds up to an impressive 3.8GHz. In Geekbench 4, the laptop scored 4,602 for single core and 16,699 for multi-core, which is a huge upgrade over last year&apos;s models. For comparison, the 2017 13-inch MacBook Pro without Touch Bar put in single- and multi-core scores of 4,524 and 9,484, respectively. 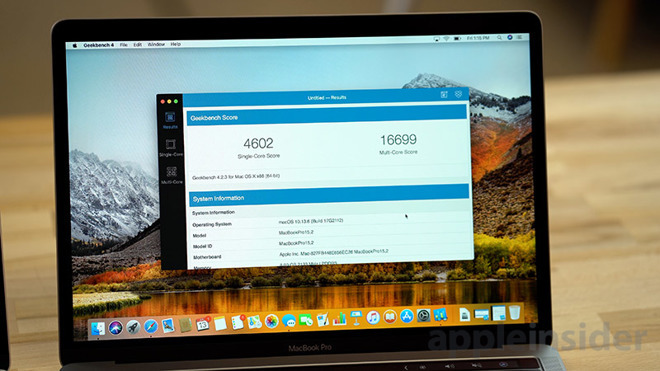 Perhaps more impressive, the new 13-inch outperforms a top-of-the-line 2016 MacBook Pro with Intel 2.9GHz Core i7, which turned in scores of 4,360 and 11,979. Now onto graphics performance, the GPU has been upgraded from an Intel Iris Plus 650 to a 655, and looking at the OpenCL test scores, there doesn&apos;t seem to be a very big difference between the two integrated chips. Running the same test on our 2017 base 13-inch model, which has the Iris Plus 640 chip, there is some improvement, but honestly not that much, with respective scores of 30,983 and 32,831. Our 2016 15-inch MacBook Pro&apos;s score of 48,081, however, was much higher than the new 13-inch model. This new quad-core CPU is obviously more powerful than previous MacBook Pro processors, so it&apos;s going to be drawing more battery power. To ensure uniform battery life, Apple increased battery size by 18 percent over last year&apos;s Touch Bar model. Using Blackmagic&apos;s Disk Speed Test, we found the new model&apos;s SSD, at least the 256GB version, writes at 680.8MB/s and reads at 2245.9MB/s, roughly equivalent to last year&apos;s base model. Speakers are also upgraded, with definite improvements in bass and loudness. Apple&apos;s new MacBook Pro is shaping up to be one of the biggest non-design upgrades in recent memory, but there is much more ground to cover. Stay tuned for an extensive review in the coming days, including a look at the new Blackmagic eGPU that Apple announced alongside the new MacBook Pro. Apple authorized resellers Adorama and B&H Photo are currently accepting pre-orders for the new 2018 13-inch MacBook Pro with Touch Bar with no tax collected outside New York and New Jersey (see here for details). 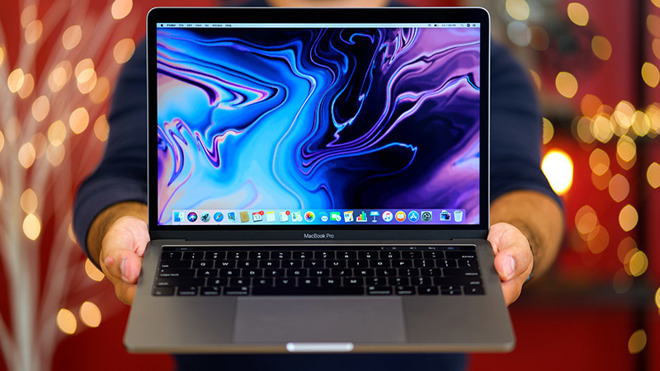 For many shoppers, this can equate to $140 to $295 in savings on the 13-inch models with quad-core processors compared to buying from Apple directly. These are the exact same systems carried by the Apple Store and include Apple&apos;s standard 1-year limited warranty. Looking for 2018 15-inch MacBook Pros? Check out our Price Guide for up-to-date prices and availability. *Adorama and B&H will not collect sales tax on orders shipped outside NY & NJ*. Published on Sat, 14 Jul 2018 01:12:36 GMT, © All rights reserved by the publisher.